Select your account type, and get banking! Don’t have online banking? Contact your banker to learn more and enroll. Vote For Your Favorite Story! Stories of memorable experiences and genuine connections made through the passion and empowerment of people. It’s nice when you can get along with your coworkers. It’s even nicer to have coworkers whom you can call friends; and not just nice, fun-to-be-around friends. Good friends. People who are there to support you in both good times and bad. 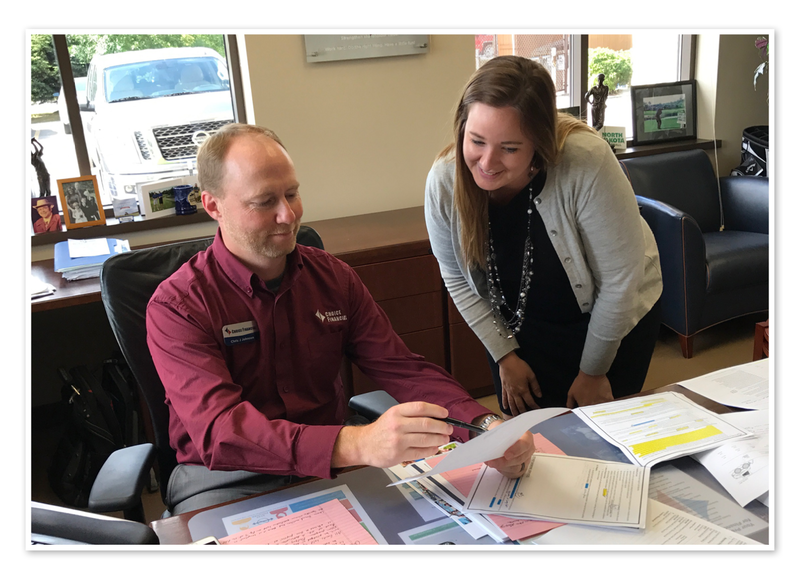 Erica Schierholz has all of this as a Frontline Operation Manager at Choice Financial in Grand Forks. 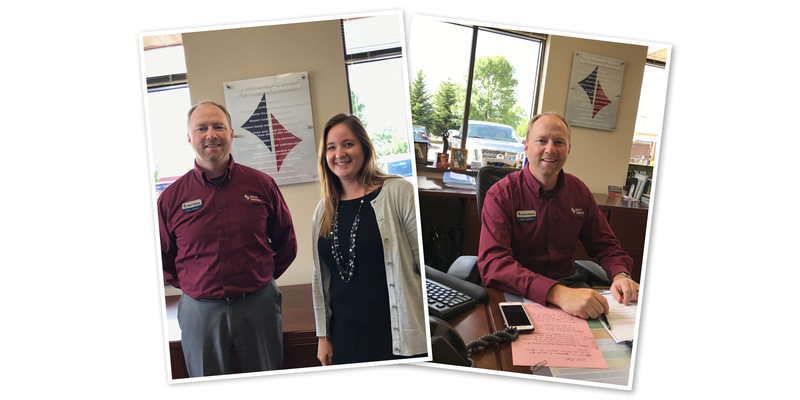 In particular, she looks up to Chris “CJ” Johnson, Market President in Grand Forks, as an example of a leader and a friend. Chris is the kind of guy who is always making people laugh. 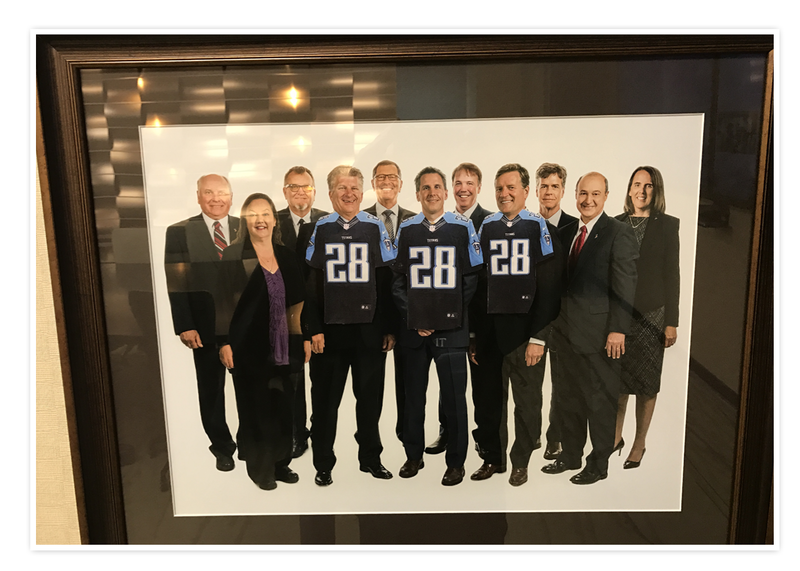 He’s the guy that dresses up in a kilt for a Christmas video; a guy who photoshops Tennessee Titan jerseys over a photo of the board members because he’s a Titans fan, (“have you ever heard of one?” he asks.) He’s someone who can make people laugh just by the way he says things. Look at these Titan’s fans! But Chris is also there to listen in difficult times. For Erica, this was especially true during a week where a tough employee transition was taking place. Having just moved into a new manager position, Erica had a lot of questions and concerns throughout the process, and Chris was always there. For Chris, Choice’s core value of “Know when to ask for help and know when to offer help,” comes to mind. This was an opportunity for him to offer help — and add a bit of fun, too. Chris “CJ” Johnson (left) and Erica Shierholz (right) enjoy being coworkers! Erica calls him “the funniest person alive,” so apparently he’s good at it. Thanks Chris for bringing your humor and support to Choice Financial, and thank you Erica for recognizing it! A Small Town Responds in an Unexpected Way. © 2019, Choice Bank is a division of CFG. You’ve chosen a destination outside of bankwithchoice.com on the world wide web. Safe travels and we hope to see you again very soon!